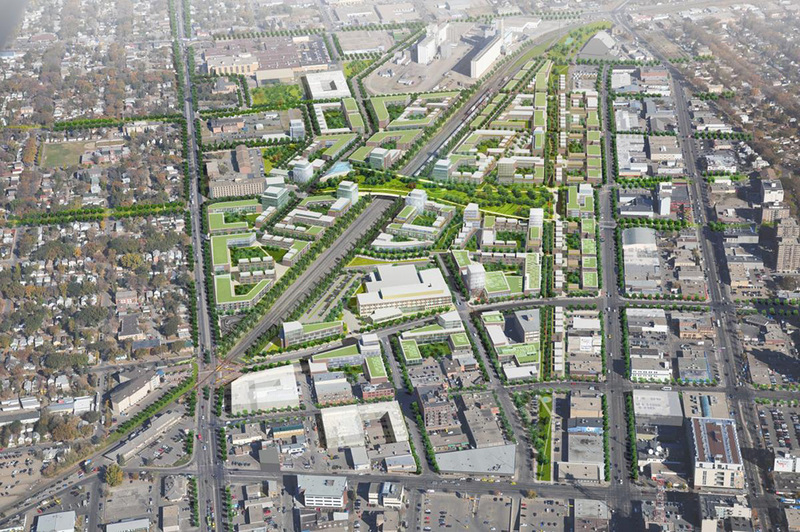 Key elements of the Draft North Downtown Master Plan were presented to City Council on May 20, 2014, following extensive community consultation. The Master Plan features a Bridge Park to span the CP rail line and create a significant central park. This feature could also provide 600 underground parking stalls. A vibrant green corridor would replace the existing unused CN Line with a multi-use path, community gardens and a small enclosed dog-run. The Master Plan is intended to create a vibrant new neighbourhood in the heart of the city, with buildout in stages over 25 years. Council directed City staff to finalize the Draft Master Plan and submit it for Council approval, with more information on using an Area Revitalization Program as a financing option for the project.